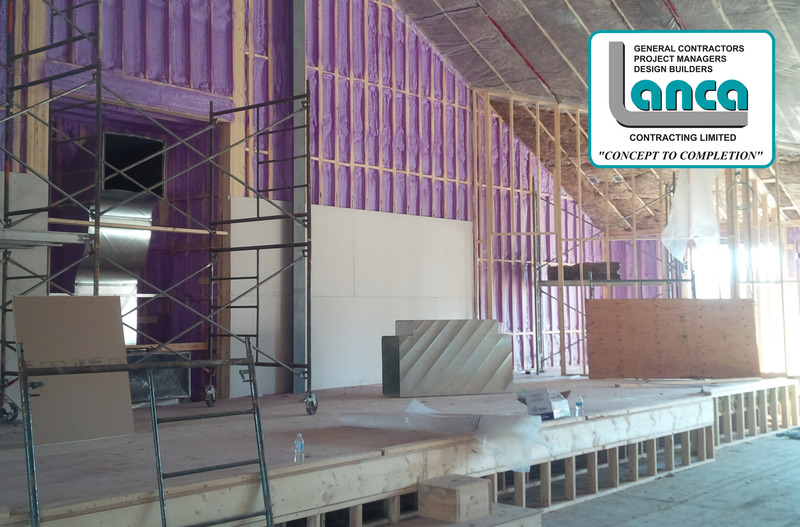 York Maranatha CRC Progress – LANCA Contracting Ltd.
Progress at York Maranatha Christian Reformed Church continues with an anticipated Phase 1 completion date for the week of May 1st. Phase 1 includes the construction of 9,000 square feet of new space in the basement and ground floor levels of the building. This space will house the new Nave and 9 new meeting rooms/classrooms. After completing Phase 1, Lanca Contracting Limited will begin on the second phase of renovations to the existing side of the building, creating a new warm-up kitchen, a large fellowship hall, youth ministry room, and renovated classrooms for the children’s programs. Phase 2 is scheduled for completion in late July.